Fujifilm India Private Limited announced its latest offering X-T30, the mirrorless digital camera for the Indian market. The latest model to join the X Series, known for its superior image quality combined with the company’s proprietary color reproduction technology. In its compact body that weighs just 383g, the X-T30 features the latest 26.1MP X-Trans™ CMOS 4 sensor and the fast X-Processor 4 image processing engine to achieve the ultimate image quality. Furthermore, it offers highly accurate AF performance across the entire frame and silent continuous shooting capability of up to an impressive 30 fps, ensuring that you would never miss a decisive photo opportunity in a variety of situations. The camera can also record 4K/30P video while applying “Film Simulation mode”, including the “ETERNA” with rich color grading, based on Fujifilm’s proprietary color reproduction technology. Its ability to record fine and smooth 4K video with high-resolution audio will meet the needs of those involved in full-scale video production. 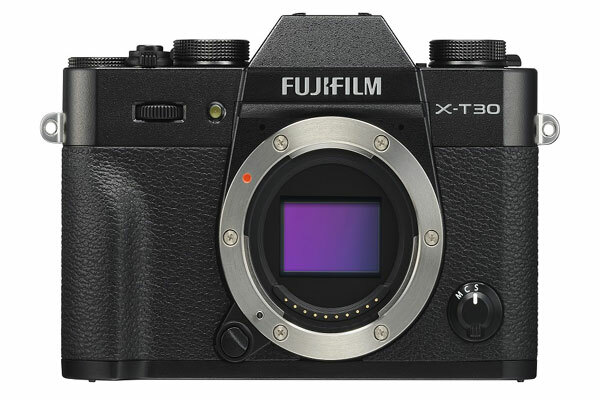 The X-T30 inherits popular exterior design features of the current model, FUJIFILM X-T20 (X-T20), while providing excellent operability with a new grip design that enhances stable grip when holding the camera, a touchscreen panel display with improved response performance, and the “Focus Lever” that facilitates faster focusing operation. The camera is also equipped with the “Auto Mode Selector Lever” that allows you to instantaneously switch to a fully-automatic shooting mode, making it a perfect mirrorless digital camera for a broad range of users who want to enjoy premium-quality pictures. The X-T30 is priced at Rs. 74,999/- (Body only), X-T30 Kit at ₹94,999/- (18-55mm) and (18-135mm) at Rs. 99,999/-.